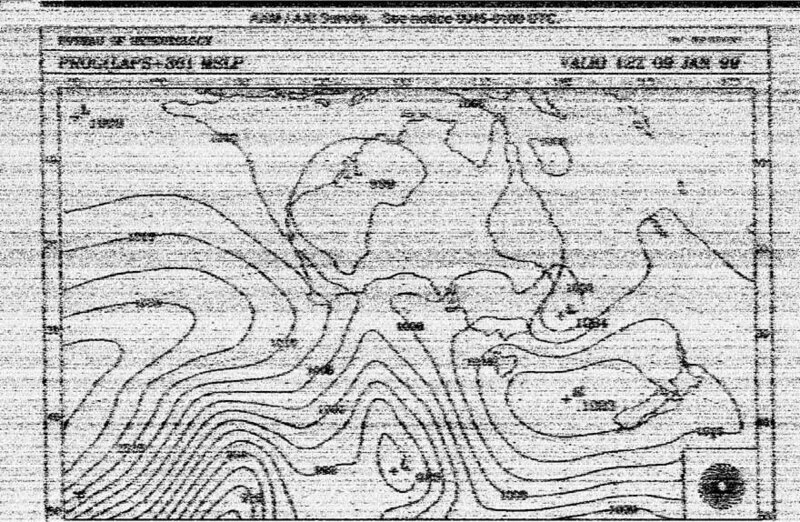 WEFAX is a method to transmit weather facsimile images over radio. The intended recipients are ships and aircraft, although most will now be served via satellite radio links. Most images are transmitted in black and white, although some are greyscale. 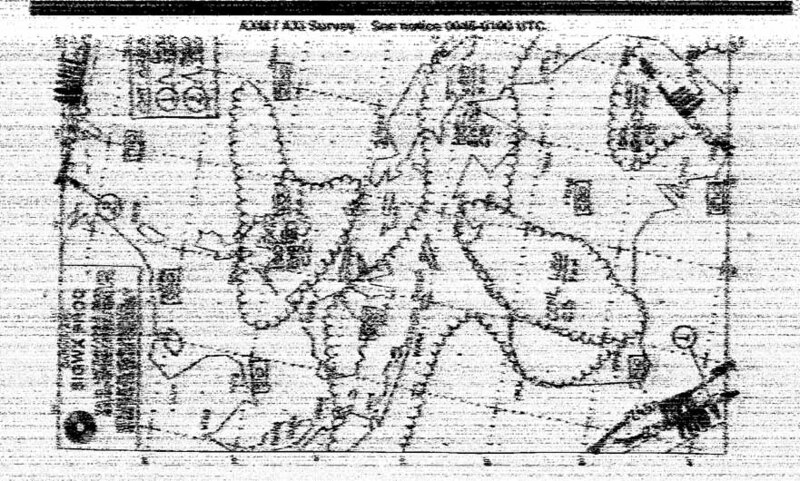 To receive wefax images, you need a shortwave receiver in ssb (or data) mode and a hardware or software decoder to convert audio tones into black and white. Tuning the receiver accurately is paramount to receive good pictures, also you might need to clean up the audio signal by appropriate filtering to isolate the black and white "tones". Here are some examples of pictures I've received ... Click on a picture for the larger version, the file size is indicated alongside. 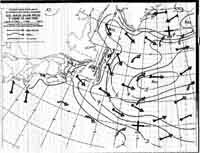 DXSoft - has released version 1.73 of SeaTTY - A program to receive weather reports, navigational warnings and weather charts transmitted in RTTY, NAVTEX and HF-FAX (WEFAX) modes on longwave and shortwave bands. No additional hardware is required - you need only a receiver and computer with a sound card. Platform: Windows 9x/NT/2000/XP. Download from: www.dxsoft.com. 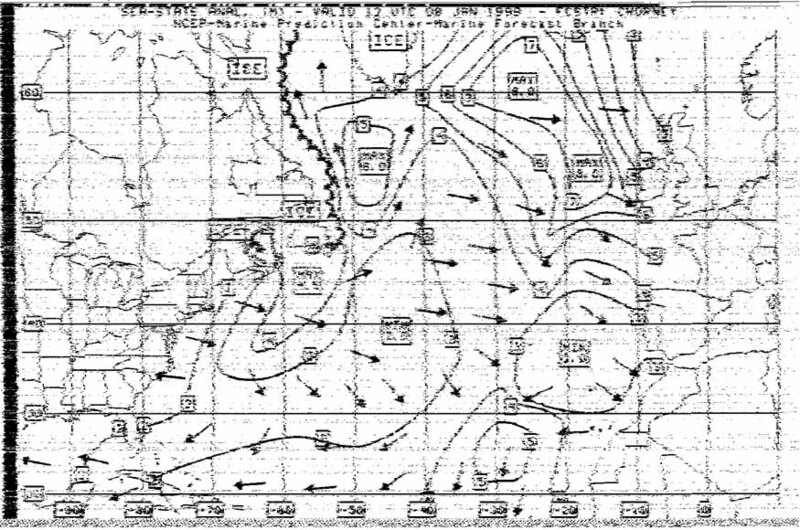 DXSoft - has released version 1.35 of SeaTTY - A program to receive weather reports, navigational warnings and weather charts transmitted in RTTY, NAVTEX and HF-FAX (WEFAX) modes on longwave and shortwave bands. No additional hardware is required - you need only a receiver and computer with a sound card. Platform: Windows 9x/NT/2000/XP. Download from: www.dxsoft.com. 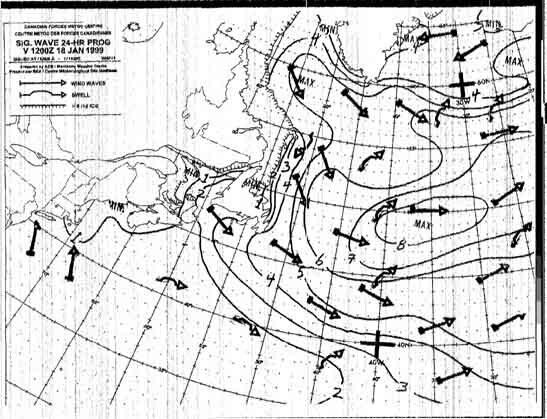 DXSoft - has released version 1.16beta of SeaTTY which decodes WEFAX as well as NAVTEX. www.dxsoft.com. Bracknall, UK - Very clear pictures this evening on 8040 kHz. Halifax, Nova Scotia - Very nice pictures today on 13 MHz when the band opened around 1200 UTC. 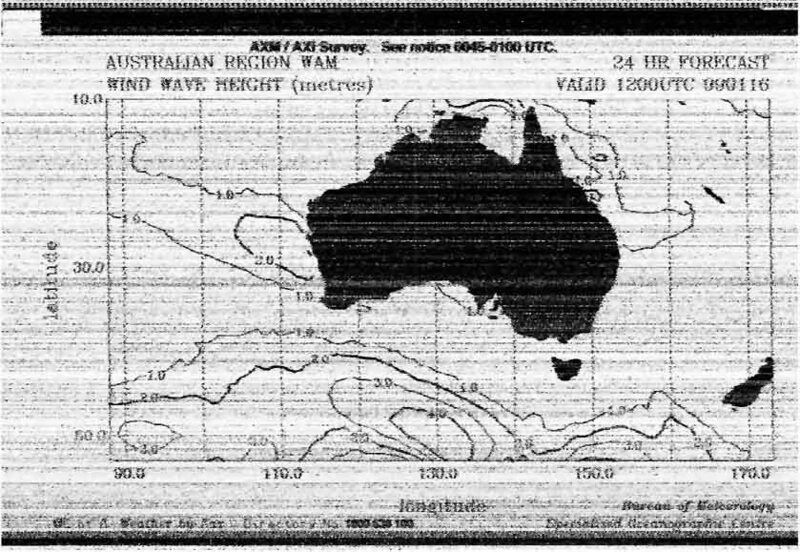 Also Melbourne visible though poorly on 20469 kHz at 1400. Halifax, Nova Scotia - Came through well today at 1939. Here's the best picture. Melbourne, Australia - Came through well today at 1930. Here's the best picture. More Pix - Here are a couple of pictures from Melbourne on 5100 and Boston on 12750. 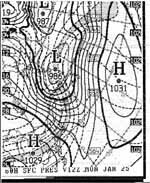 HFFAX - Saved some of my initial received images. Very surprised at the good quality of the strong signals, and the software even made sense of signals buried in noise eg on 5100 kHz. Software - Bought the Multimode shareware program written by Chris Smolinski at BlackCat Software. This software runs on PowerMacs and just requires an audio feed from a receiver. As well as Fax, it decodes CW, RTTY, SITOR and several other data modes.